This beautiful milkwort is much taller than our own common milkwort, Polygala vulgaris, which is a plant of chalk and limestone habitats. 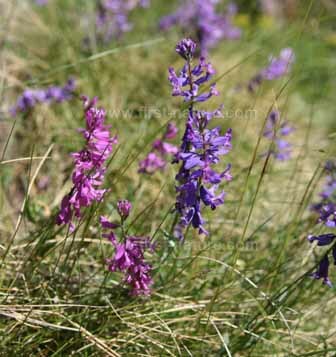 We found this lovely flower in Bulgaria, in both the Pirin and Rhodopi mountains, and they occur in blue and pink. Often there are large colonies of flowers with both colours appearing together. The plants grow up to around 30 cm in height. 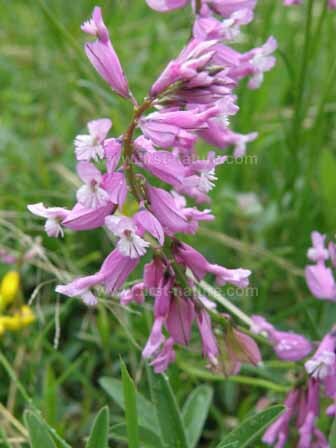 Polygala major is found throughout the Balkans and central Europe, including Bulgaria and Romania. It is also found in Greece and other Mediterranean countries. The specimenshown here were photographed in the Pirin Mountains of Bulgaria in mid June.